GEM Project, an app that links volunteers to good causes, practiced what they preached on Nelson Mandela International Day when they took part in various activities at 10 organisations. 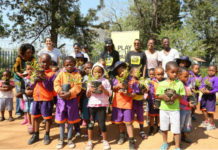 Among other noteworthy causes, GEM – which stands for Go the Extra Mile – got their employees and volunteers to garden, bake and paint the exterior of New Jerusalem Children’s Home in Midrand, work at the soup kitchen at Thusong Youth Centre in Alex, clean the premises at Ethembeni Children’s Home in the Johannesburg city centre, and a participate in a food drive at Balkan Burger in Greenside. At the Nelson Mandela Day launch held in July, GEM Project co-founder David Shields said the app was a social development drive that aimed to mobilise communities within themselves. Activities can include clothing drives, assistance with homework, job shadowing and skills development, which all South Africans will be able to support. 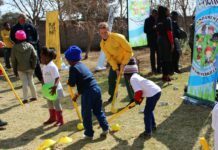 Play Your Part, a Brand South Africa campaign that promotes active citizenship, is involving GEM in its events that uplift disadvantaged communities. GEM has the potential to curb unemployment. In many cases, volunteers are unemployed people who spend their time contributing to their communities. And with GEM’s reward system, the volunteers are guaranteed to earn something for their good deeds. 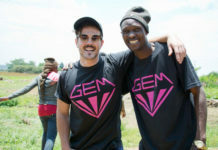 During Mandela Month, GEM offered another way to use points. 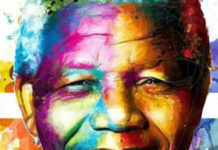 “Volunteers are encouraged to donate their Gems back to the needy causes during Mandela Month,” said Shields. 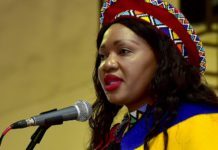 Brand South Africa’s acting chief marketing officer, Sithembile Ntombela said the GEM app is a call to action so that every day can be a Mandela Day. The statistics below show how effective GEM has been since its launch in July 2015, just a few days before Mandela Day. As of July 24th, 146 transactions had already taken place. Successfully proven that South Africans want to help out and make a difference, they just needed an avenue/platform to streamline the process.